In the present phase of uncertainty, much of Rivertown has returned to wilderness. To the west rises the Renaissance Center. 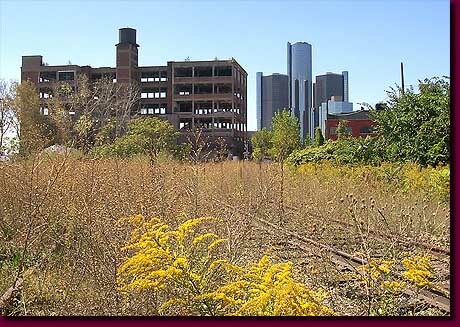 East of down and south of Jefferson sprawls the heartland of Detroit's 19th Century industrial zone. Site of the first industrial revolution to roll over Detroit, this area was home to ship builders, pharmaceutical makers, and foundries. The skills and industrial crafts honed here would prepare Detroit for the automobile revolution.